A division of the Waterloo Centre for Automotive Research (WatCAR), the Green and Intelligent Automotive (GAIA) Research Facility consolidates a broad range of testing capability and expertise, supporting both academic researchers and industry in their development efforts. WATERLOO — Two of the most important sectors of the Ontario economy — automotive and high tech — have converged in southern Ontario to form an economic cluster that is unique in North America. 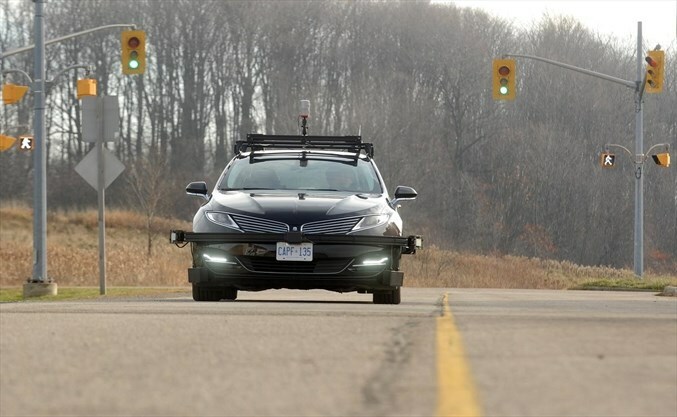 The convergence has been driven mainly by the availability of software developers and other tech talent, Ross McKenzie, managing director of the Waterloo Centre for Automotive Research said Wednesday in an interview during the University of Waterloo's Autotech Symposium. KITCHENER — He's got the vehicles: A fleet of 10 all-electric Tesla Model X SUVs. He's got the staff: A team of 18 full-time employees and counting. Now all Jason Hammond needs are the passengers. Hammond is the president of Wroute, a new transportation service that's launching between Waterloo Region and Guelph. 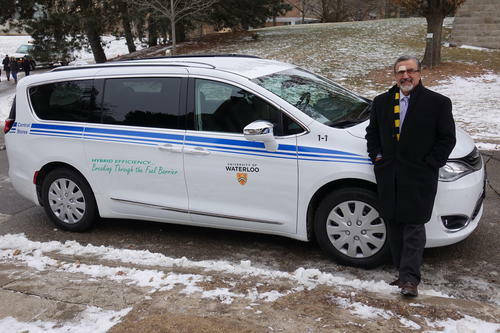 When the University’s senior leaders were looking for a service-related department to consider alternative energy vehicles, Central Stores answered the call and has added a hybrid service vehicle to its fleet.